Hope you had a good weekend! It seems like every time I turn around, I'm talking about a new limited edition collection from Wet n Wild! The company recently sent me the "In the Spotlight" holiday collection of Color Icon eyeshadow palettes known as Eyeshadow Medleys. I haven't seen these out in my area drugstores yet, but I wanted to go ahead and share this post with you, so you can know what to expect! This is what the in-store display looks like. Each palette is $4.99- the same price as the regular Color Icon 8-pan palettes. Like those palettes, these include a dual-ended applicator with a sponge tip and brush, and they do contain 8 different colors. There are three distinct finishes in each of these palettes... the top shadows are super frosty, the middle section ranges from a pearly to satin finish, and the bottom shades are matte. While the matte shades in all of these palettes seem consistent with the quality of the matte shadows in the regular Color Icon line, the other shades seem a bit more hit & miss. I'll sort it out for you in the pictures below (and you can enlarge any of these pictures to get a closer look!) Also, these swatches were done without using a primer. This palettes combines neutrals and blues in several different finishes. While the top shades give off a lot of sparkle and shimmer- very little color actually shows up. They become more buildable and vibrant when used on top of a primer or base, but alone they are just kind of all over the place and flakey. The middle section includes several shades that have a little bit of shimmer- but aren't overly metallic. The blues look so much alike- one is just slightly deeper than the other- and then you have a mid-toned bronzy brown. I love the inclusion of a matte black and brown at the bottom- wonderful basics, and they are so richly pigmented! Overall, it's probably the most neutral kit of the three. Quite a bit of color variety in this palette! The top row of shimmery shades has better color payoff than the first palette. With all of these palettes, I feel like the middle row of shades pretty good, but not AMAZING and soft/buttery like the regular Color Icon palettes. The purple is a bit sheer, but I do enjoy the gold and green. And the deep brown and forest green matte shadows at the bottom are great. Just for the overall color variety and quality of the shadows- this is my pick of the three! I'm going to have fun creating some green looks with this. If those top three shadows aren't cotton candy colors, I don't know what is! They're really shimmery/powdery and much like the shimmers in the "A Great Glistener" palette, the color doesn't pop much. As I've said, a primer will help the situation, but even then, it's kind of hard to distinguish the different colors. In the middle row, the blue is nice, but I was pretty disappointed by the pink and especially the purple. So very sheer compared to the Wet n Wild shadows I'm used to. And once again, the matte shadows are nice! You're getting a deep blue and a deep blue-ish purple color. So if you've read the whole post, you can pretty much see where I stand with these! I don't think they're must haves, and if I were to rank them in order of favorites, I'd say No Neutral Ground is the best, followed by A Great Glistener and then Lights, Camera, Attraction. I truly think No Neutral Ground is pretty and a fun collection of colors. I will say- I've made VERY cheap shadows work in the past by layering them on top of primers/bases-- it really makes a difference. 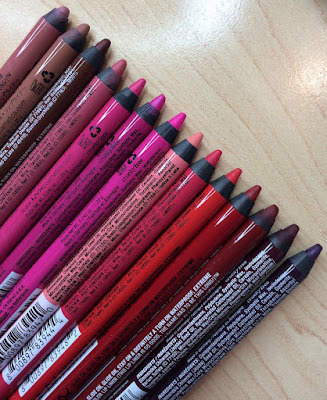 But I'm holding these to the standard of Wet n Wild's regular line of shadows- so that's where my critique is coming from. I feel like whenever Wet n Wild comes out with new shadows I compare them to what I know and love! 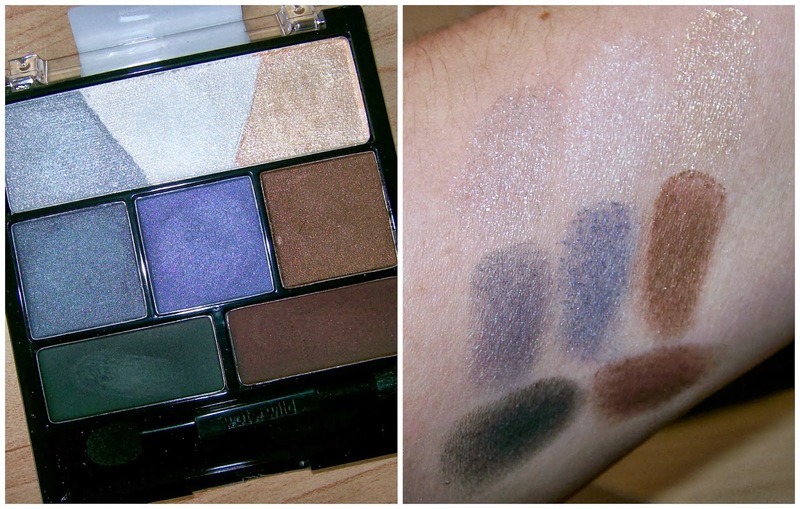 Have you seen or tried these palettes yet? What did you think about them? 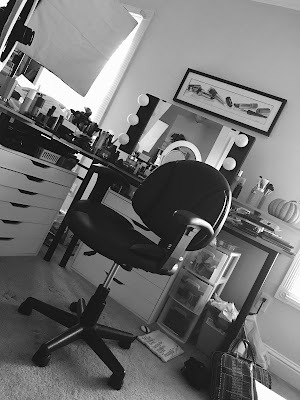 Have you been staying up to date on Beauty Broadcast Express? Today's video went up bright & early this morning! I also have a haul coming this evening. Warning: It has a witty/borderline cheesy title. I want to start watching The Good Wife! Saw the leading lady on a talk show recently and have been meaning to check it out. I would love to see a tutorial with No Neutral Ground! Yeah, I stopped in my local Christmas Tree Shop in search of some of the other LE Wet n Wild palettes and these were all they had. I was not impressed at all by these so I decided to pass on these and keep searching for the 3 pan palettes. I got them all when they first came out; I must agree, No Neutral Ground is amazing. I had swatched Great Glistener first and was so disappointed. After a few more swatches, more color showed through, so I think it might be another case of the hard top layer? Thanks for sharing though :) I can't wait to see the Runway Beauty collection! Hi Emily - I believe that cats grow/shed their winter coats according to the amount of daylight. We live in South Florida, and our (indoors) cat still gets a very full coat during the winter months. WnW has been going a little nuts with all the LE stuff lately... Will they ever add to their regular collection or will they just keep making us chase down LE stuff? You have to admit, it is good marketing but frustrating if you don't have a dependable drugstore that takes a chance and orders LE stuff. I was talking to my Walgreens beauty girl and she said a lot of times stores wont order LE stuff because they see is as a risk because they can be really hit and miss as far as sales go. Thankfully her store always has LE stuff I love it! My Walgreens has a whole endcap of LE WnW Haloween makeup Lots of glitter, and fake lashes, and colored mascaras, even face makeup kits to make full looks like zombies, fairies, and witches. Good Wife is my Mom's favorite show....She has watched it from the beginning!! I get so frustrated that we dont have wet n wild here in the UK! I am most likely to wear A Great Glistener or No Neutral Ground out of the three. Very nice! I watches The Good Wife, and the actress you talked about is simply wonderful! 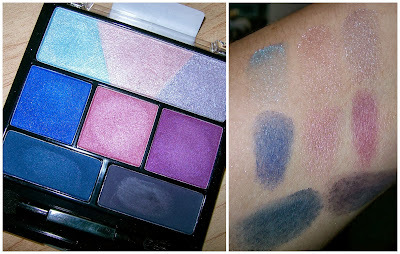 I really like the second palette but the other ones aren't wowing me as much as I hoped! I hope a store near me gets these palettes soon! I would definitely love to try them out. They have some gorgeous colors! My cat puts on a winter coat every year and he never steps outside the house. My dog is putting on a heavier coat. I think SO CA is going to have a cold for winter, and hopefully lots of rain, for we need it so badly. Love Miss Cupcake sitting in your chair. My dog Miss Daisy loves to sit in my chair. I swear she is smiling when she does it. Looking forward to the haul video no matter what the title. Have a great day. Thanks for the review. I agree that many of the special edition W&W items aren't as great as the everyday items. Cats don't just think that they are the boss. They know that they are in charge and we are little more than their groupies/servants/minions :) My indoor kitties have always changed coats with the season. They shed like mad in the spring as they lose their winter coat and they fluffy up this time of year. 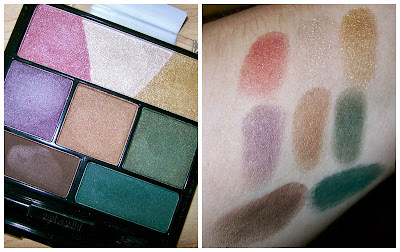 As for the shadows, methinks if I see this collection, I'll just grab the "No Neutral Ground" palette. The greens look so nice. You are the absolute best. I always value your knowledge and look forward to every post you publish. Thank you for the tips and tricks. You are one of a kind and i LOVE you! I cannot remember where I read this, but somewhere I heard that the top row of glitter shadows are meant to be used almost like a top coat. I guess you can layer the over some other shadow to get a more glittery effect. Does that make sense? Thank you so much for doing this post! I saw this display last week at jewel but I don't thinkyou guys have jewels down by you :( I was waiting for someone to do a review so I know! Thanks! looking forward to a green eye tutorial using No Neutral Ground! I have to agree with you Emily, No Neutral Ground looks like the best out of the 3. I hope you can do a tutorial using this palette. Cupcake looks so cute in the chair! Sounds like something I might be skipping. Thanks for the review. I am a sucker for limited edition drugstore makeup palettes. I just did a review on the 2013 ELF Disney Villains palettes on my website. What did you think of them? Check out my review! Thanks, xoxo. I have had Persian cats for the last 20 years and they tell me when the cold weather is coming. Their fur gets heavier and matting season begins. In the spring they shed (and mat again) quite a bit. And I would never put these babies outside. They are my change of season forecasters! Hi Emily-'The Good Wife' is a GREAT show but you really need to see all the seasons in order. The plot lines & characters can be complex & you need the background to really understand it all. Well worth watching-one of the best written & acted shows out there! Enjoy!!! Were can you find these pallettes???? I want them all last time I couldnt get any of the limited edition pallettes and these ones look like something I cannot live w/ out!!! I had the original palettes from this collection that came out a few months back that I found in my walgreens. They didn't have specific names, just numbers, and I don't find myself using them. They're just not appealing although the glitter shows up. LOL cupcake is so cute! Wow! It's not often I want EVERY item from a collection, but every one of these is gorgeous!! Hi, Emily: A little late to the party here, but that's life....Cats most certainly do grow a winter coat. And they get a whole lotta hairballs trying to help their summer coat go away (we humans refer to it as shedding). You could do Cupcake's digestive system and other body parts a huge favor if you do two things: Procure an instrument called The Shedding Blade from a pet store. There's nothing better to help loosen and remove Cupcake's undercoat, prevent matting and reduce the frequency and size of hairballs resulting from shedding. Cupcake will like you for it. Also, see if she'll drink from a little itty bitty saucer of olive oil. Or any other kind of other naturally derived oil. My furry friends loved it, in fact they considered it a treat. And I considered the reduction in yack attacks (kitty puking) and fewer visits to the vet a treat. oh!!! by the way Emily, I did manage to get my hands on 3 new trios... They must be limited edition.... It was around Halloween time.... and they weren't the glittery Halloween ones either.. They were gorgeous!!! The names are Silent Era Film, Camera Obscura and Grays Matter! GORGEOUS colors! You definitely have to try these if you can find them!